VATICAN CITY (CNS) — Pope Francis appealed for humanitarian assistance to South Sudan where famine threatens the lives of millions of people already suffering due to a three-year civil war. In the “martyred South Sudan,” he said, “a fratricidal conflict is compounded by a serious food crisis, which has struck the Horn of Africa and condemns millions of people to starve to death, among them many children,” the pope said. 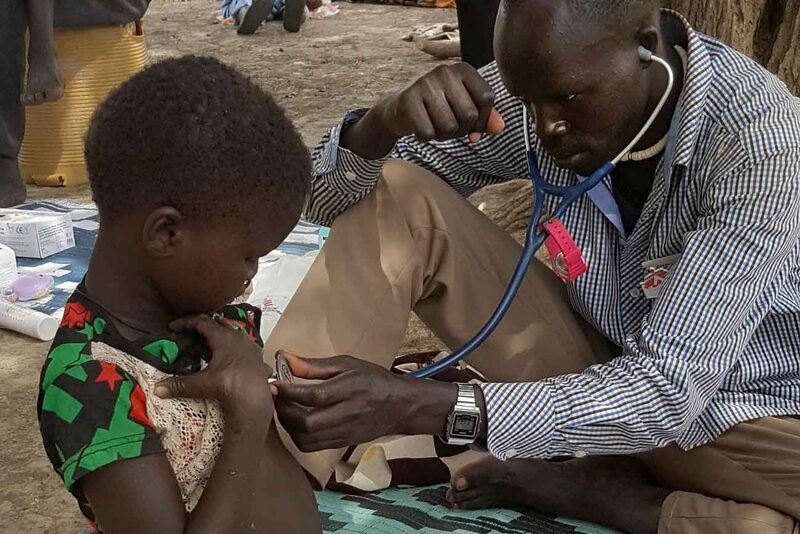 The United Nations Feb. 21 declared a famine in two counties of South Sudan, adding that the catastrophic food shortages will continue to spread, threatening millions of lives. Civil war has destabilized the world’s youngest country for more than three years due to a political power struggle between President Salva Kiir and former Vice-President Riek Machar. “This famine is man-made,” said Joyce Luma, director of the U.N. World Food Program. “May the Lord sustain these, our brothers and sisters, and those who work to help them,” Pope Francis said.